The most sought-after and popular colour is definitely white but we can spray the door with any RAL shade according to your request. In the basic offer, we have 187 RAL shades. 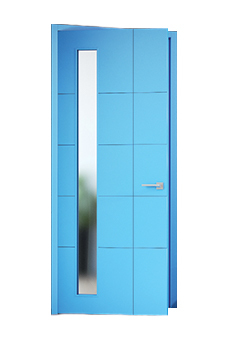 Doors are painted by manual spraying on the MDF board in several layers and colour is hardened then by the UV lamp. We use highly resistant paints with health attestation. They are more resistant than water-based paints. We offer the following colour model lines: Akord, Linum, Lotos, Note, Rede, Tenga, Elegant, Mera, Bergamo, Domino, Swing and Venezia. 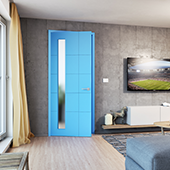 ...you can order doors, frames and doorframes in 3 different colours? 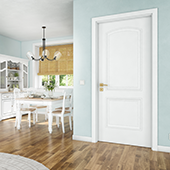 ...white doors are suitable for both small interiors due to the optical enlargement of space and larger rooms due to their timeless appearance? ...Sapeli uses very resistant, cured paint and applies it by manual spraying in 3 layers? 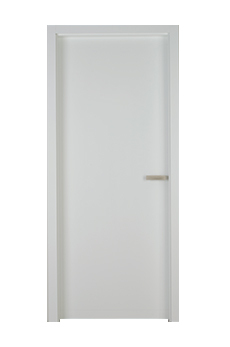 For this purpose you can order a door with a mechanical threshold which stops draught and meets the highest aesthetic demands of the door. In such a case it is worthwhile to replace the door and reduce heating costs of your household. We rely on proven Czech suppliers and quality Czech materials. 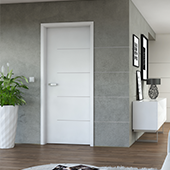 All materials used for SAPELI doors production are harmless and come from the renewable natural sources.